Chroma colours your Guardian’s gear, making you look even prettier. 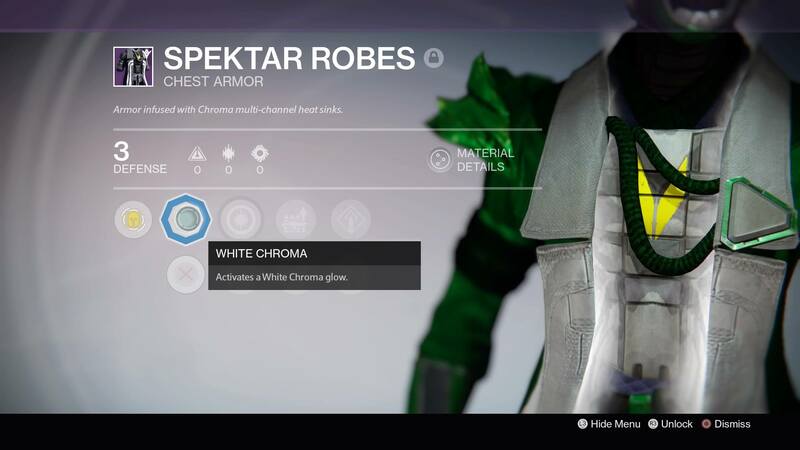 Destiny’s April Update has brought with it Chroma, a new colour shader used on compatible weapons and armour. The new Spektar armour can use it, as can many of the revamped weapons included in the update. 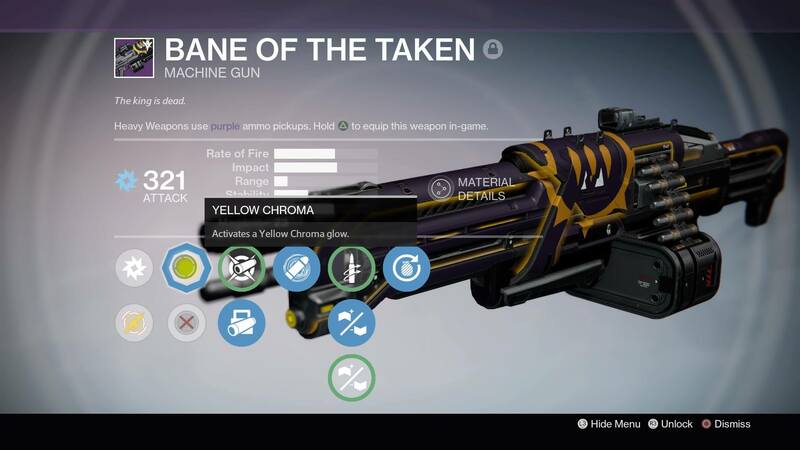 Chroma comes from Sterling Treasure, a new consumable item brought into Destiny by the April Update. 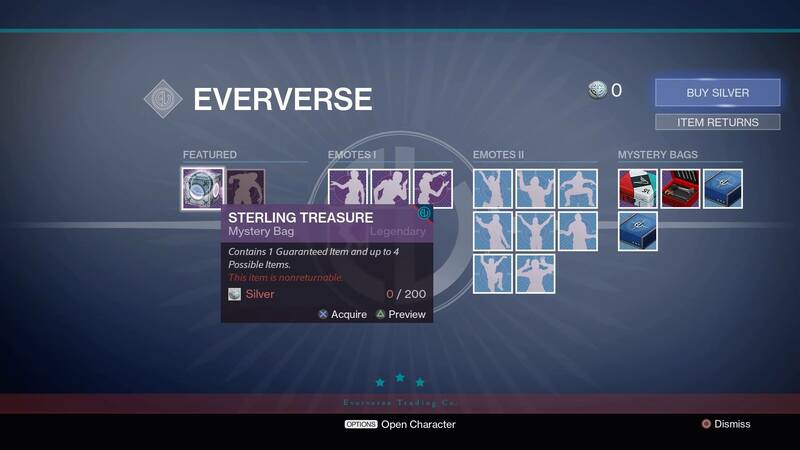 Every Sterling Treasure box you open can contain Chroma, Spektar armour and the Taken-styled Desolate armour in an combination. 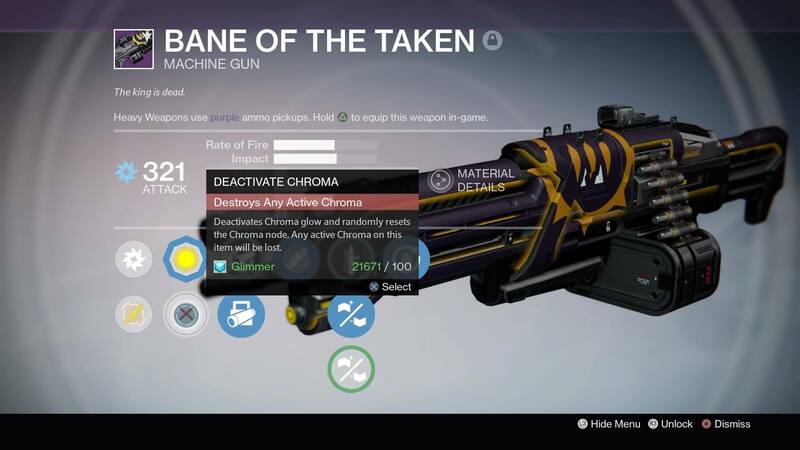 This is the only way you can get Chroma right now. Visiting the Postmaster every week. Completing a level 41 Prison of Elders run every week. Completing a match in the weekly Crucible playlist. Paying 200 Silver at the Eververse vendor in the Tower. To use Chroma, you must first have items with which it’s compatible. The second icon along on the item’s talent tree will show you which colour the item will currently accept. If you have the corresponding Chroma in your inventory, just click on the icon and the item will become shaded. You can change the colour of the Chroma the item will accept by simply clicking on the cross below the Chroma icon. This will randomly assign a new colour for 100 Glimmer (Chroma comes in four colours: red, yellow, blue and white). Be warned: if you have an equipped Chroma, resetting the colour will destroy it.